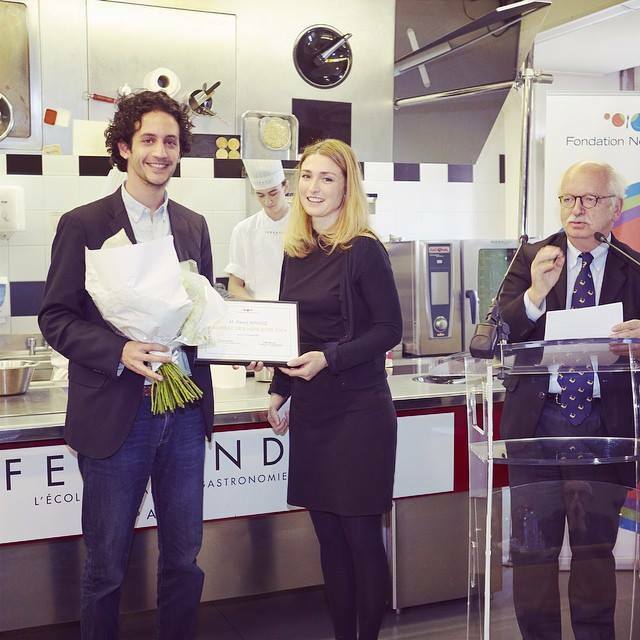 It’s with pride and joy that I share with you this good news: last week, the Nestlé Foundation awarded me with the “Nids d’Or 2014” prize in the category “Video and new media” and, guess what made me win? A twist on a French classic, of course! 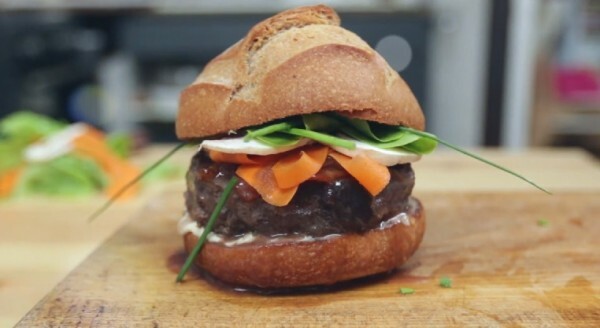 It was my take on a Beef Bourguignon Burger that earned me this incredible honour and I’m already hard at work to share with you the English video recipe as soon as possible. The video was quite short, about five minutes, and revolved around the very iconic French Beuf Bourguignon, which made famous the amazing Julia Child. I couldn’t help myself but unorthodoxically grind it into a massive burger. But why do such a thing? Because my aim is to make you feel comfortable making new and exciting things in the kitchen while you prepare a meal that might be a little intimidating. I would be really happy if you felt like going beyond rules and traditions and it seems like the guys at Nestlé approved the plan! The acknowledgment rewarded the “quality, energy and rhythm of the video in which the author rethink a traditional French recipe making it simpler and more contemporary. The video shows that authenticity can also be modern when you cook a traditional recipe with an updated and fresh style. With a new approach, old fashioned French staples result more accessible and less heavy”. Culinary Objects: The Cooketier by Cookal Sas. I really like your videos! I am a big fan of yours. Congratulations, you have a great show! I leave in Houston, Texas. I am from Mexico City, but I leaved in Paris for some time… So watching your french recipes has been a great way to stay conected to the French everyday food. Keep on producing videos, you have huge fan over here hungry for more! Moi j’adore l&qtcuo;artirhaus, chez nous en Bretagne on en mange une fois par semaine. Le gros Camus c’est terrible. C’est peut Ãªtre culturel, tu en manges dans les rÃ©gions de production ?